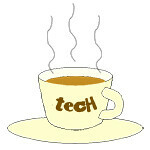 Fitbit Charge « Tech bytes for tea? The new lineup from Fitbit features continuous, automatic heart rate tracking; GPS; smartwatch functionality; plus all day activity and automatic sleep tracking. Fitbit Charge (S$169), Fitbit Charge HR (S$199) and Fitbit Surge (S$329) will be available broadly in early 2015. Fitbit Charge (S$169) is available in black, slate, blue* and burgundy*; Fitbit Charge HR (S$199) will be available in black, plum, blue* and tangerine*; Fitbit Surge (S$329) will be available in black, blue* and tangerine*. * indicates colors that are coming soon. Fitbit Charge, Fitbit Charge HR and Fitbit Surge will be available in small, large and extra large sizes (extra large only available through Fitbit.com). Fitbit has unveiled three new activity and sleep-tracking products: Fitbit Charge, Fitbit Charge HR and Fitbit Surge. Fitbit Charge – a high-performance wristband that delivers all-day activity tracking, real-time fitness stats and Caller ID right on the wrist for people who want to step up their everyday activities to improve their overall health. Fitbit Charge HR – an advanced tracker that delivers continuous, automatic wrist-based heart rate, Caller ID and all-day activity tracking for active users: regular exercisers looking to push their fitness further. Fitbit Surge – a sleek Fitness Super Watch that offers the best of GPS, continuous wrist-based heart rate, all-day fitness tracking, and smartwatch functionality in one device, for people dedicated to reaching their peak performance. More detailed descriptions extracted from the press release below.